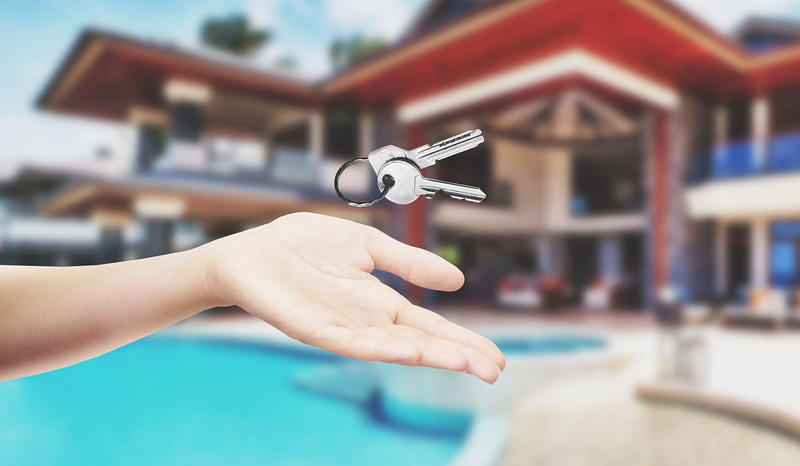 We are no strangers to the question, “How do I sell my timeshare?” It’s true that selling timeshare can be a tricky process if you don’t know where to look or who to approach. Travel & Leisure Group, the longest-running timeshare broker in Europe, are here to help! We have over 25 years’ experience in the resale business, both in the UK and around the world. Furthermore, our first-class reputation within the industry lets you know that you’re in the right hands. We’re members of RDO (the Resort Development Organisation), ARDA, and CARE. We also enjoy numerous recommendations from big names within timeshare. The key to our success is that we present the concept professionally, to as many potential clients as possible. Our wide range of advertising avenues allows us to be seen by millions of people around the world. We advertise on ITV and Channel 4, top Sky channels such as Sky News, Discovery Living, Discovery Real Time and The Travel Channel. We make every effort to set the bar for what we do. Because of this, we now have one of the most successful methods of selling timeshare. How Do We Sell Timeshare? With us, it really couldn’t be easier! We start out by registering you for free. Next, you have the choice of taking out one of our optional advertising packages to put your timeshare in front of as many people as possible. We regularly run TV advertising campaigns on top channels such as Sky News, Discovery, Channel 4, and The Travel Channel! We carry out online advertising such as our comprehensive Google Adwords campaigns to direct potential buyers to our website. Furthermore, we still take out traditional advertisements in national and international press, including full-page adverts in Select Traveller, Silversurfers, easyJet and other in-flight magazines. Additionally, we have a presence in nine countries across the world, meaning that our sellers benefit from the largest possible audience. Our customers’ timeshare weeks and points are circulated throughout our network of offices and foreign-language websites. We are also preferred partners with luxury timeshare resort developers Club La Costa, Osborne Apartments. We are also an authorised reseller of Diamond Resorts Points. Diamond Resorts, Club La Costa, Heritage Resorts and many others highly recommend the Travel & Leisure Group brand. The Travel & Leisure Group brand has become synonymous with timeshare. Our website attracts millions of potential customers. We offer a potent combination of UK national press, online and TV advertising, along with a network of international offices. This unique blend consequently makes us one of the most effective places to market and sell your timeshare, and achieve the best price for your property. A website attracting around 2,000,000 unique visitors each month – how’s that for advertising coverage? "Very efficient service, we were kept informed of progress at all stages. Very happy with the outcome." "No complaints generally and would definitely use Travel & Leisure again - thank you." "We would thoroughly recommend you company. We are fully satisfied and have already recommended your company." "Good overall experience. Would use again." "I am very satisfied with your service. Good negotiation of the price and efficiency for the transaction itself. I recommend strongly Travel & Leisure Group." "Kay was tenacious in her pursuit of a buyer for my Diamond Resort points! I thank you wholeheartidly for that!" "Easy on my part - everything was handled for me." "Since my first phone call to Travel & Leisure Group to receiving the contract for the timeshare I purchased, the whole process was faultless." "Pleased with service provided. Travel & Leisure done what they said they would." "Fantastic, efficient, pro active. We were kept informed at every stage. The tight deadline we gave Travel & Leisure was met and delivered. Second time we have used Travel & Leisure. We wouldn't go anywhere else. "All handled professionally and swiftly. No hidden costs or issues. Would thoroughly recommend to anyone looking to sell their timeshare." "Travel & Leisure Group gave an excellent trouble free sale and were helpful throughout and was transacted within a short period. I am quite happy to recommend their excellent services to others." "We found that using Travel & Leisure to sell our timeshare was straightforward and uncomplicated. The staff were helpful and very professional and I would recommend anyone wanting to sell or buy timeshare to use Travel & Leisure." "This is the second time that we have used Travel & Leisure and on each occasion the service has been professional and well managed. Many thanks." "Very friendly, helpful and efficient service." "Kay Griggs and the team have provided a friendly and professional service and I would have no hesitation recommending Travel & Leisure Group..."
"Thank you very much for the very professional, fast, efficient service which you provided when we purchased out timeshare resale." "They were very professional and kept me informed." "We hereby confirm your excellent customer service at all levels. Again thank you!" "A very easy and straightforward process. Thank you." "Thank you for a very professional and efficient buying transaction. I will have no hesitation in recommending your company to friends." "Renting my timeshare with Travel & Leisure was a pretty painless and efficient exercise." "Excellent experience from start to finish. The team were professional and attentive and their efforts made the whole process go very smoothly." "The selling process happened as described once a buyer was found... All the staff were helpful and friendly." "Your staff have been most helpful and efficient at all stages of the sale. Thank you." "The holiday was finalised from an incorrect advert...and ultimately a holiday was organised!! So thank you for pursuing this for me." "While it did take quite a while to find a buyer for the timeshare, once that happened the staff were very courteous and efficient in how the sale was conducted." "A very good purchase with excellent service from Travel & Leisure Group throughout the whole process." "Me and my wife really appreciate the hard work and professional handling by Travel & Leisure Group staffs. This is our second time via them to help us... really great job!" "Excellent customer service, prompt and efficient communication, would recommend to other buyers and sellers." "We found Travel & Leisure Group provided a very professional and friendly service and thank you for bringing matters to a satisfactory conclusion." "We are very satisfied with the expiration of the sale of our timeshare week in Schladming (Austria)"
"I phoned up Travel & Leisure Group to sell my property, in the next 5 months it was sold. I am very pleased with their service and they were always there if you needed to talk to them. I would refer them to everyone who wants to buy or sell their property." "Easy and professional to deal with. Clearly explained the purchase criteria and answered all questions with clarity and speed." "Everything went exactly as explained to us and we were kept informed during the process." "Purchase experience was helped by the advice of Georgina, who was very helpful and friendly and approachable with all my questions. Thank you." "Thank you very much for the successful resale of our timeshare week." "Staff were always very helpful and informative. I know they tried very hard to sell my timeshare, but they persisted." "Travel & Leisure Group have restored my faith in timeshare ownership and have been easy to deal with. All went very smoothly, thank you." "Straightforward, sincere and secure operation on a platform of professional values. I have used the services of Travel & Leisure on a number of occasions and always appreciate the service." "First class customer service. A routine query following a search of website resulted in a sale and a purchase, both of which we are delighted with." "The process was smooth and professional, I would recommend Travel & Leisure Group to friends and family." "I have found that everyone I have dealt with to be most helpful.... all have kept me well informed in their efforts to sell my three Son Antem weeks. Many thanks." "Efficient, helpful, knowledgeable, committed to making the sale process as "seamless" as possible." "I wish to say "thank you" for selling my timeshare weeks at Marriott's Marbella Beach Resort..."
"Very straightforward purchasing process. Would definitely use Travel & Leisure again for any future subsequent purchases." "The whole process has been straight forward, painless and easy. Staff have been fab, guiding me through and being very patient when I didn't understand. Many thanks to all involved." "Happy to recommend your service to others." "A very honest and honourable company we hope to do business with again." "Very efficient, clean service with courteous staff." "It's easy to get in contact with your customer service and you always have a good treatment!" "No problems. Was in the resort at time of initial offer - all sorted within 24 hours, could not have been easier..."
"Better communication re: possible weekly (email) as to updates where buyer is in process. Otherwise all good." "Everyone we spoke to at Travel & Leisure was very courteous and helpful. They all contributed towards making it a very easy and straightforward transaction." "Very pleased with the excellent service we have received throughout the purchase of the apartment at the Pestana Village. Thank you." "From the first contact with Travel & Leisure Group to the completion of the purchase of a timeshare resale, was in our experience, a very straightforward process..."
"Thank you Paula, for all your help." "Having complete my second transaction, once again I must say the efficiency was second to none. I would recommend your company for purchase or sales." "Our purchase experience was very good." "Travel & Leisure are a very organised and professional company. They advertised and sold our timeshare quickly and efficiently and it was so much easier than expected." "Everything has run very smoothly during the re-sale/transfer of ownership. Job well done! I would recommend Travel & Leisure Group to anyone who wishes to buy or sell a Timeshare". "Communication with Travel & Leisure has been excellent.... I consider Travel & Leisure a well organised, professional company." "Everything straight forward and all questions answered promptly. Would highly recommend." "Excellent service from all departments sales and legal...."
"Despite the problems of the timeshare market and the appalling behaviour of some agents, we were reassured by T&L's professional and straightforward approach." "Many thanks indeed for this efficient handling of my sale, although complicated, you handled it excellently at all stages of the process. I will certainly forward your details to some contacts who might consider selling." "The purchase process through Travel & Leisure Group was easy and well organised. We would highly recommend them as a company, their staff are excellent." "I found customer service at Travel & Leisure to be of a very high standard." "...our dealings with Travel & Leisure Group have been handled with the best attention and professionalism. We would definitely recommend Travel & Leisure. "We were really happy with how the sale of our timeshare was handled from start to finish. Thank you." "Our purchase of a previously owned timeshare, through Travel & Leisure Group, was a pleasantly stress free experience." "We were delighted to find a week in Amadores and the staff at Travel & Leisure were very polite and helpful." "Very professional service, they took care of everything from start to finish and kept me informed of developments." "This is the second time we have dealt with Travel & Leisure and as before, we found them very helpful and efficient." "I would highly recommend your company. Living in Mallorca, I found the service to be excellent...."
"Travel & Leisure Group successfully managed the sale of our timeshare in Madeira." "Seamless transaction. Clear and concise communication. Highly recommended. Thank you." "Excellent experience of purchasing with Travel & Leisure Group." "First time we have had dealings with this Company. Everything was handled efficiently and professionally. Thank you." "Thank you Georgina Fairley for renting our week out." "We should like to thank those concerned that dealt with this transaction and we would have no hesitation in recommending the Travel & Leisure Group to other people." "The sale went very smoothly throughout. Happy with the outcome." "Thank you for your service which was efficient and friendly." "This is the fourth time we have purchased through Travel & Leisure Group. On each occasion we have been impressed with the professional and efficient service we have received." "We found the exact week at our chosen resort and the process of purchasing was carried out efficiently. Will have recommended T&L to friends already and will continue to do so. "Excellent customer service, giving me confidence that my request was being dealt with the upmost efficiency." "A long process - almost 11 months - caused by the Anfi resort and the buyer. Travel & Leisure worked tirelessly to speed up the process and a happy conclusion was finally reach. Many thanks." "Very proactive and efficient. Understood our needs and negotiated effectively on our behalf. Quick and easy! Thank you." "The outcome that we wanted, although it took a little longer. Thank you for the updates to keep us informed of what was happening." When you choose Travel & Leisure Group, you get to enjoy free membership on our database. If you’ve chosen one of our optional advertising packages, you enjoy global exposure to sell timeshare. In addition, we strongly encourage you to help us personalise your advertisement. Do you have photographs of your resort and apartment from your many years of happy holidays? Send them to us, along with your own description! We always see better results with your own photos and words, because they set your advertisement apart and generate more interest. Therefore it’s safe to say that Travel & Leisure Group make every effort to sell timeshare! So, are you still asking, “How do I sell my timeshare?” If so, and you’re interested in selling timeshare through Travel & Leisure Group, visit our selling timeshare page or click here to get a free valuation and free registration. Alternatively, feel free to call our selling team on 0800 071 1372. Travel & Leisure Group’s aim is to sell timeshare quickly, at the best possible price.